1. It¹s all about lighting. To make your fashion really pop, choose natural light or studio light with a soft box (you can even make one from a lamp and last season¹s white t-shirt). If you¹re using a flash, you¹ll probably want to bounce it or stick a diffusion filter on it. 2. Make a shot list. This is a critical step, and even more important if you are photographing models. Even if your model is just your best friend who owes you a favor, they¹ll appreciate it if you know exactly what you want to shoot. Think about the poses you want to capture, the outfits you want them to wear, and the details that you want to highlight in every shot. 4. Choose the right lens/zoom setting. If you¹re using a wide angle, you¹re going to lose your beautiful lines (and your model may never forgive you). If you have a camera with different zoom levels, zoom out to minimize lens barrel distortion. 5. Keep it stylish. It¹s a fashion shoot, after all. Play music, keep things moving, try new angles. Attitude, attitude, attitude. 6. Dress it up. 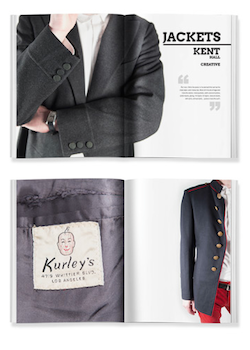 Make your book as fashionable as the clothing featured in it. Choose a simple design that doesn¹t upstage the clothing, but still looks chic. Pick a size and paper type that showcases the work brilliantly. If you¹ve ever paid attention to what¹s on the catwalk, you know that fashion means different things to different people. 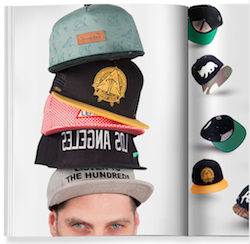 Follow your own fashion obsessions and document them in a fashionable book. 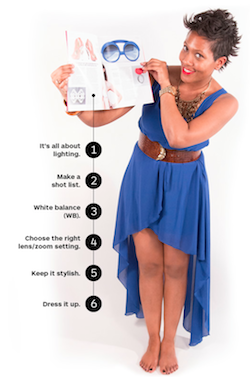 If you look good today in person, imagine looking great forever on the printed page with Blurb! Start your Blurb book now and Save 25% on print book orders of $75+ at Blurb. This entry was posted in Fashion on March 19, 2014 by Chrysa.